The year 2017 opened up with prospects of a brighter future following the commitment that we made as we ended 2016. 54 delegates assembled at Road Directorate Training Centre to attend the 2017 AGM which was hosted by the Seventh Day Adventist Church under the theme Depression; Let’s talk. They are representatives of CHAL member churches and they include clinical and management professionals as well as the clergy to jointly map a way forward for CHAL in 2018. The WHO Country Representative and the Principal Secretary of the Ministry of Health graced this event with their presence and their contributions into the theme. The months of October and November experience excitement and hope for the future as learners in the four CHAL Nurses Training Institutions reach their exit point in different programs namely Certificate in Nurse Assistant and Diplomas in General Nursing and Midwifery. The two months are marked with graduation celebrations. 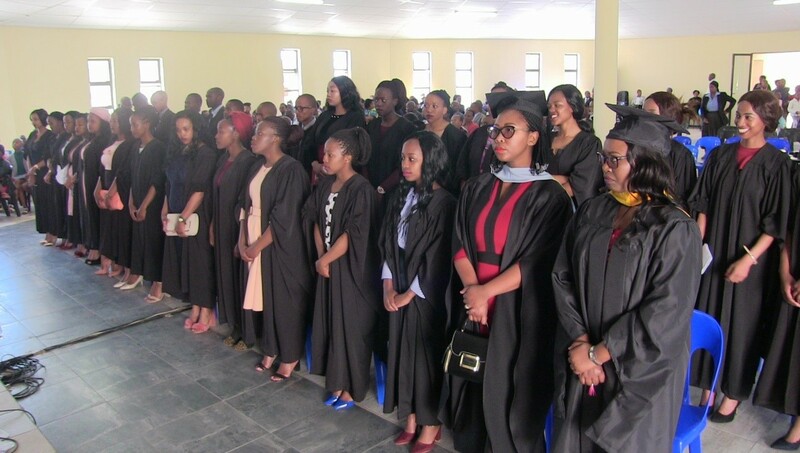 In 2018, there is a total of ….. graduates from the four institutions, thus, Paray School of Nursing, Scott College of Nursing, Roma college of Nursing and Maluti Adventist College. Fenena is an E-learning software which has been supported by AMREF in two nursing institutions in Lesotho; which were: Maluti School of Nursing and National Health Training College (NHTC). This ERP system provides user friendly dashboards with login access for teachers, non-teaching staff, students, parents and management of the institution. It offers various modules which facilitate all the processes of the institution, from admission of new student to generating transfer certificates when students complete their studies. Fedena school ERP has modules to manage timetable, attendance, examinations, gradebooks, campus news, hostel, library, student transport, school calendar and school events. The government of Lesotho (GOL) and Christian health Association of Lesotho (CHAL) entered into a purchaser-provider agreement in 2008 and ten years down the line they still go stronger. Despite challenges encountered, the partnership has realised its major objectives of increased access to, affordability of and equitability in healthcare services. As we reach a century in a partnership that significantly shaped our work for the better and the country’s health system, the strategy meeting intended for retrospection, an in-depth analysis of this partnership and a SWOT analysis to vision the future. The meetings were attended by executives and professionals from CHAL institutions. CHAL is launching the first newsletter in August 2018. The newsletters will be released quarterly each year and will over activities of CHAL facilities and other partners, including all relevant parties in the health sector.